The year was 2011. Yer man Scullion was Games Editor at the Official Nintendo Magazine, and was about to review yet another mini-game collection for the Wii. You’d have forgiven me at the time for being far from excited. As everyone who owned a Wii knew at the time, the popularity of the console meant that every shitmuncher publisher and developer was trying to capitalise on its success with cheap and nasty shovelware games. More often than not, these took the form of mini-game collections, in an attempt to appeal to all the families who bought their Wii primarily for Wii Sports. As ONM’s main reviewer, this meant I’d spent the past five years suffering my way through countless half-arsed money grabs. To this day I still occasionally wake up in cold sweats thinking about Carnival Games, Big Beach Sports and the unfortunately named Water Sports. Go Vacation, then, didn’t exactly have me soiling myself with excitement when the disc came into the office, a fact I’m sure my colleagues welcomed. And yet, I was curious. Developed by (what was then) Namco Bandai and published by Nintendo itself, it seemed that there was a lot of confidence around this one. This isn’t a retrospective rewriting of history either, mind you. 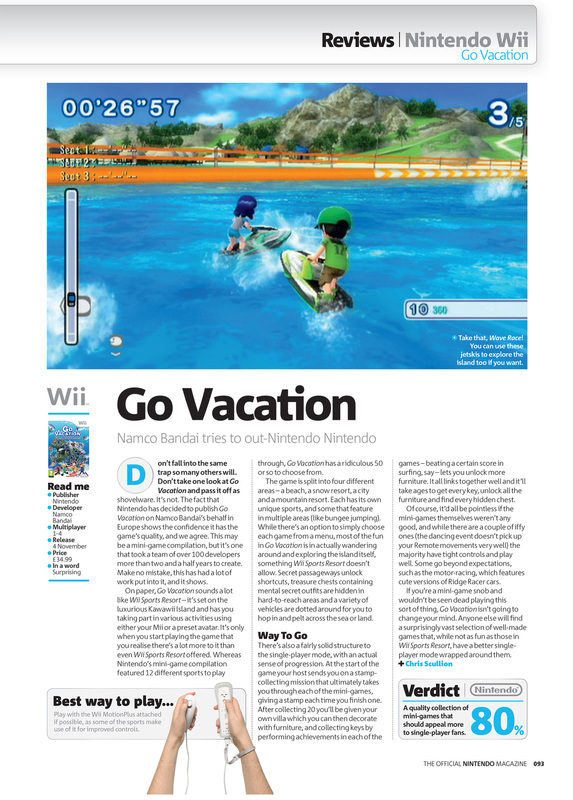 You can see my full original ONM review at the bottom of this very page, and my 30 Best Wii Games article on Tired Old Hack has none other than Go Vacation nestled comfortably in the list. Now it’s been granted a surprise re-release on Switch, and it’s just as entertaining as I remember it being seven years ago. For those not familiar with it (which is most people), Go Vacation has you visiting Kawawii Island (you’d have thought it’d be renamed Kawaswitch Island), a sort of isolated paradise made up of four very different holiday resorts: a beach, a city, a mountain and a snow resort. Each resort has a bunch of mini-games dotted around, and the aim (initially, at least) is to fill your little stamp book by wandering around and taking part in each of them. At first, each of these pastimes is relatively easy to play. But once you’ve beaten it once you can revisit it and play it again with harder AI, different courses, or what have you. Naturally, these mini-games make up the meat of Go Vacation and, as such, the game essentially lives or dies by their quality. Thankfully they’re generally fun. Of course, with around 50 events there’s clearly going to be some in here that don’t exactly yank your crank. Personally I don’t think much of the occasional stunt-based events like surfing or the skateboarding half-pipe, but that’s just me. The majority, however, are of a satisfyingly high quality: this was especially refreshing back in the Wii days when so many other mini-game collections were about as responsive as a sloth trying to catch a bullet in its teeth. Highlights for me include the ATV racing, snowball fighting, scuba diving and the brilliant Motor Fest, in which you race through a series of tracks in small race cars inspired by Ridge Racer (complete with the same Namco-based sponsor names). Enveloped around all these games are the resorts themselves, which also offer a challenge of their own. 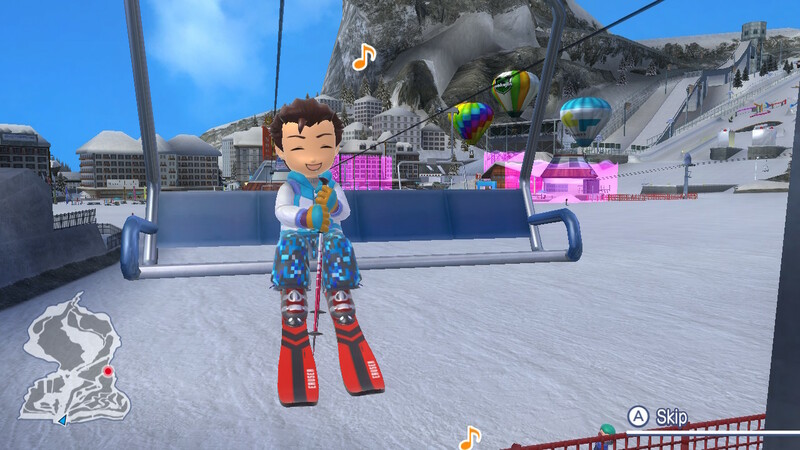 Each resort is a free-roaming environment where you can run, drive, skate, jet-ski or snowboard around, talking to people and looking for secrets (like the hidden treasure chests that unlock ridiculous novelty costumes for your character). Replaying mini-games on harder difficulties can also earn you keys, which can be used to unlock new furniture at your villa. Oh aye, that’s right, you get your own villa that you can customise. And your own dog too, that runs about with you and helps you find secrets. 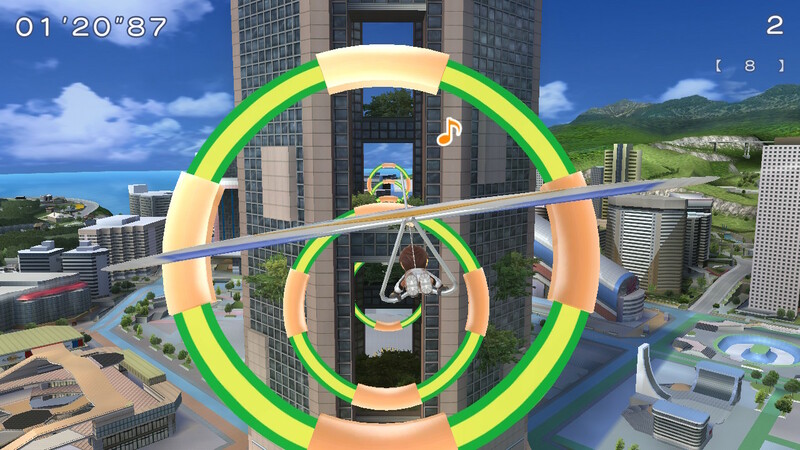 The one thing to bear in mind about Go Vacation is that it insists on motion controls for some of the mini-games (not all of them, mind). The best way to play the game is undoubtedly on your TV with a Joy-Con in each hand like a Wii Remote and Nunchuk, because that’s clearly how the game was designed. However, you can still play in handheld mode or with the Pro Controller should you prefer, and while that’s perfectly fine for the most part – 90% of the time you won’t be expected to use motion controls while playing with either of these set-ups – do bear in mind that sometimes you’ll still be expected to give your controller or handheld a quick flick for certain actions (like getting up when you fall during a skateboard event). If you’re playing in bed next to your sleeping partner, this will wake them up. Trust me. I had a blast playing through Go Vacation again. Even though its mini-games can be played by up to four players, as a solo game it’s still entertaining: it’ll take you ages to play through every event, clear them on every difficulty and get all the unlockables. Since the Switch launched, a lot of commentators (including myself) have continually pointed out how nice it is that Wii U games like Bayonetta 2, Captain Toad and Donkey Kong Country: Tropical Freeze are getting a second chance to reach the audiences they initially deserved. Go Vacation will benefit too, but for a different reason. As I said at the beginning of this review, Go Vacation arrived five years into the Wii’s life, and it’s fair to say that even the most forgiving gamers were sick and tired of mini-game compilations by then. 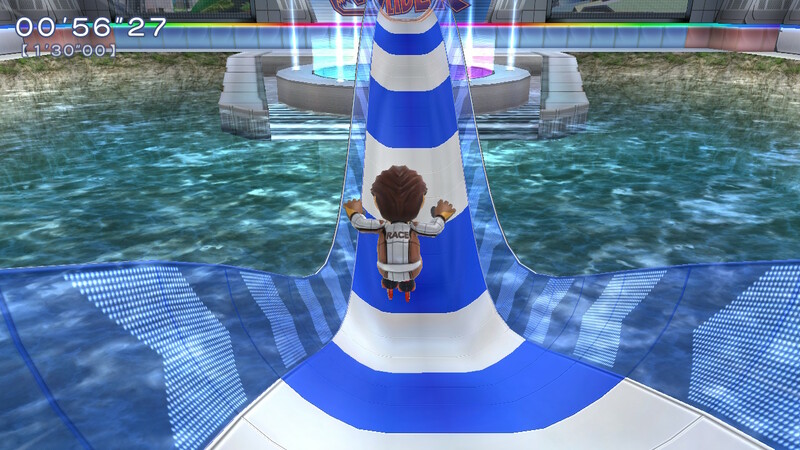 It’s also worth bearing in mind that most already had Wii Sports, and anyone eager for more would have also bought Wii Sports Resort in 2009, meaning Go Vacation was trying to enter homes that most likely already had at least two sporting mini-game titles in their library. 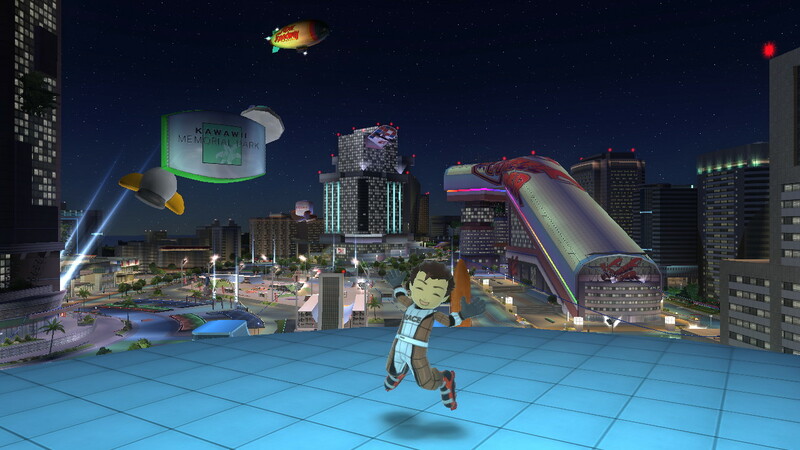 What we have now on the Switch is a situation where there’s no Wii Sports, no Wii Sports Resort and nothing else decent that’s really like them. In this day and age, Go Vacation stands alone as the sole option for anyone who fancies dipping back into the Wii days. And those who do will be more than happy with what they find. If ever there was a game released at the wrong time on the Wii that deserved a second chance… it’s Silent Hill: Shattered Memories. Closely followed by Go Vacation. 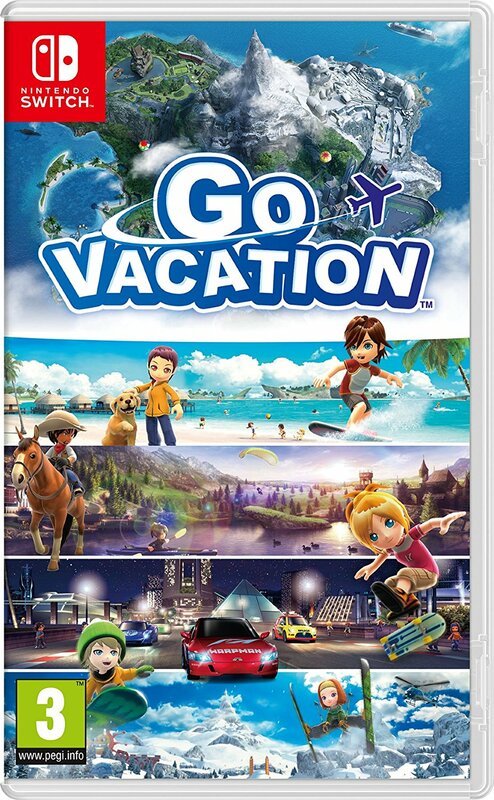 Go Vacation is out on Switch on 27 July for £39.99 / $49.99. You can also buy the physical version for £34.99 (at the time of writing) from Amazon UK. In order that I could write this review, I received a free copy of the game from Nintendo. The content of my review and the opinions therein were in no way positively influenced by this. I desperately wish that, besides Go Vacation, there was an excellent arcade sports game for Switch. Mario Tennis would’ve been it, had there been any meat on its anorexic bones. 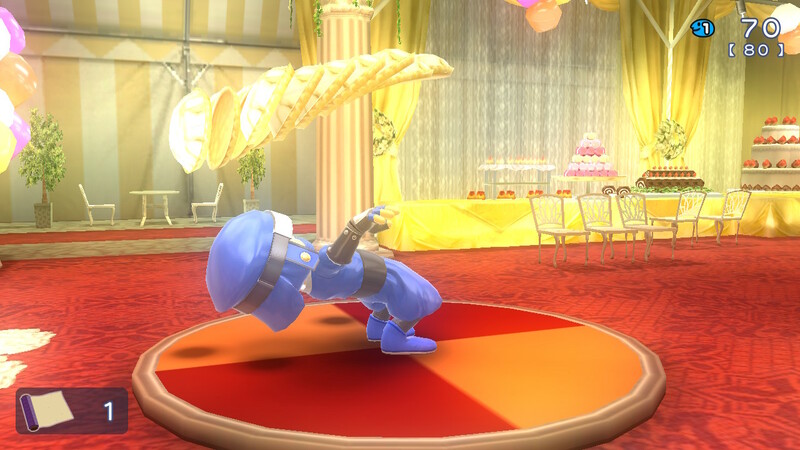 There’s ARMS, but that’s a fighting game, so it doesn’t necessarily count towards “sports”.